Would you like fries with that? Cyber criminals are taking a cue from fast food chains and bundling exploit packages complete with all the tools needed to launch successful security attacks against various targets. These toolkits are on the rise and getting more dangerous. 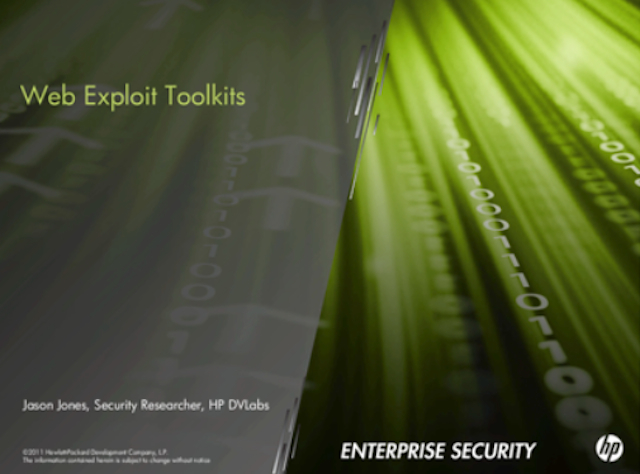 This webinar will provide an introduction to exploit toolkits, including the estimated number of infections and an overview on some of the CVEs they are affecting. The speaker will discuss several known toolkits including NicePack, Phoenix and BlackHole, citing the evolution of these attacks and obfuscation techniques. • The nature, role, and importance of third-party testing. • Trend Micro TippingPoint’s results in the 2016 NGIPS Group Test. • Practical uses of NGIPS in enterprise network environments. Trend Micro TippingPoint solutions can protect you from ransomware and stop it cold in its tracks. The Trend Micro TippingPoint Threat Protection System (TPS) family offers comprehensive threat protection against known and zero-day attacks. Attend this webinar to see the many ways the TPS can be used to protect your environment against the latest threats as well as the old ones too. Learn from Odd Todd how Trend Micro TippingPoint Advanced Threat Protection can protect you from malware. Advanced threats and targeted attacks are wreaking havoc in our networks and desktop machines. High-profile attacks seem to make headlines every few weeks. While no security solution is 100% effective, join us to discuss best practices that could bring your security effectiveness closer to that goal. To protect their networks and critical data from being compromised, enterprises must be able to acquire and assess new information constantly, and take action to identify vulnerabilities, remediate and minimize the likelihood of attackers permeating through their network. HP TippingPoint Threat Protection System delivers comprehensive network security integrating vulnerability management to provide actionable threat intelligence with unparalleled visibility and analytics. Learn more about how you can detect and enforce protection against advanced threats. Watch this video to learn more about how HP TippingPoint Advanced Threat Appliance helps to keep your Enterprise safe. Industry Analyst Robin Layland is joined by Steve Povolny of HP and Brian Foster of Damballa to focus on what you need to do to stop attacks that have made it past your perimeter defenses. We also cover mitigation needs based on your risk profile. We then review how you can spot breaches and how to easily keep your security up to date. Finally we cover what to look for in an advanced threat protection vendor. Since 2006, Gulf Air has used HP TippingPoint Intrusion Prevention System (IPS) to protect their network from external threats. With the passage of time the internal attack vectors were also identified as being a high-risk area. In this webinar, Hussain Abduljalil of Gulf Air explains how Gulf Air evolved their network security from an external IPS setup to a unified IPS solution providing the required levels of protection and throughput needed. And why they did it with HP TippingPoint. While anonymizers can serve a positive purpose by protecting a user’s personal information by hiding their computer’s identifying information, their use in your network environment can be dangerous. Anonymizers can evade enterprise security devices, and their misuse can make your organization susceptible to malware and unwanted intrusions. Attend this session to learn how you can detect and block elusive anonymizers from wreaking havoc on your network. Victims of targeted attacks, or advanced persistent threats (APTs), make the headlines. Attend this webinar to learn how APTs work and how to defend your business from them. Pat Hill, HP TippingPoint Product Manager, and Bob Corson, Director, Solutions Marketing, discuss the anatomy of an attack and why it's critical to detect and isolate the attack at "patient zero," the initial point of infection. Target, Sony, Anthem - the biggest recent breaches have taught us all big lessons. Namely, that traditional security solutions are ineffective against advanced threats. And today's targeted attacks not only can rob your organization of sensitive data, customers, reputation - they can cost senior leaders their jobs. - Defeat anti-evasion features & more. A next-generation intrusion prevention system (IPS) shouldn't just keep your company safe, it should be quick to implement and easy to manage. HP TippingPoint is the simple, effective, and reliable solution for network security that protects you faster—when every second matters. Hackers don't have change management, so they can change and deploy threats faster than companies can respond to them. That's the message of Forrester Principal Analyst John Kindervag in this short but important video. He explores the impact of a changing threat environment and new zero-day threats on cyber defenses. 2014 has been an explosive year riddled with nasty security threats. Some of these you may have heard about like Heartbleed and Shellshock, but others like Sandworm, may have gone unnoticed or worse unprotected on your network. This webcast will offer an explanation of the top vulnerabilities, how they could have infected your network and security precautions to protect your organization. Don’t miss it. As enterprise network design changes and evolves to incorporate mobile devices, BYOD and cloud solutions, the traditional network perimeter is breaking down. All this, while attacks are getting ever more sophisticated. This session will discuss the challenges facing the modern enterprise network, and show how HP TippingPoint network security products offer solutions that can help. With malware and botnets wreaking havoc worldwide, stopping network infiltration and protecting confidential data is proving increasingly difficult. This session introduces you to a triple-threat triple ally against attackers: HP TippingPoint with ThreatDV. Join us and learn how HP TippingPoint and the power combo of ThreatDV, weekly Digital Vaccine package, and reputation feed help networks stay ahead of attacks by blocking infiltration, phone-home, command-and-control, and data exfiltration. Security defenses are only effective when you can easily deploy and manage them. HP TippingPoint Next-Generation Intrusion Prevention System and Next-Generation Firewall make it easy. And the TippingPoint Security Management System provides a dashboard to show you the state of your defenses and instantly see attacks that are blocked. Threats to the network continually evolve, which makes isolating the victimized “patient zero” machine nearly impossible. Today’s advanced threats require an advanced approach to security. This session explores how HP TippingPoint stops these attacks in their tracks by neutralizing patient zero through behavior, static, and dynamic detection. Join us to learn how this layered security approach is the most effective way to minimize the threat of network infiltration and, when it does occur, protect your infrastructure from further damage. This channel covers the latest topics in network security and vulnerability threat research from TippingPoint, DVLabs, and the Zero Day Initiative to help security professionals protect their network against known, unknown and undisclosed threats.